Press Prt Scr key to capture a screenshot of your entire screen. 1. Open shrd.pics home page. 2. Press Ctrl + V to upload the image. Copy the link (Press Ctrl + C) or use one of the social network icons to share. Press Cmd + Shift + 3 keys to capture a screenshot of your entire screen. Press Cmd + Shift + 4. It turns the cursor into a crosshair, which you can drag to select a portion of your screen. 2. Press Command + V to upload the image. Copy the link (Command + C) or use one of the social network icons to share. Open webpage with images. 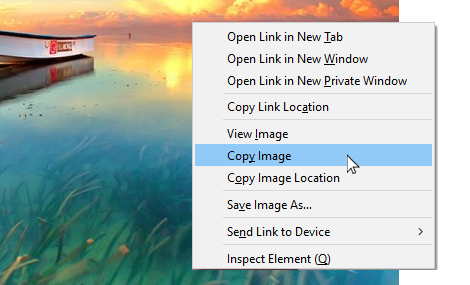 Right Click on any image. Select Copy Image from the menu. 2. Press Ctrl + V(Command + V) to upload the image. Copy the link (Press Ctrl + C (Command + C)) or use one of the social network icons to share. You can crop, rotate and zoom your images.